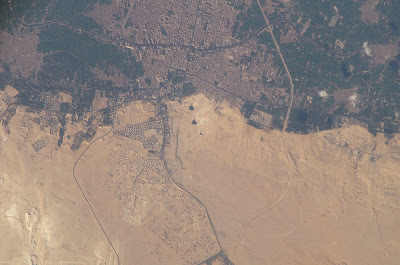 The pyramids at Giza, Egypt, photographed from the International Space Station. 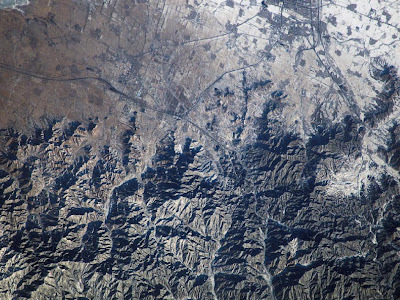 The Great Wall of China and Inner Mongolia, taken from the International Space Station. 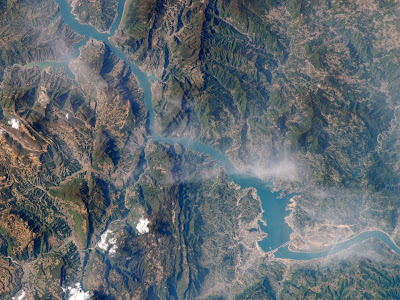 The Three Gorges Dam on China's Yangtze River, taken on April 15, 2009, from the International Space Station. Crowds in Washington, D.C., on January 20, 2009, gathered to witness the inauguration of the 44th president of the U.S. Barack Obama, taken from commercial satellite GeoEye-1. 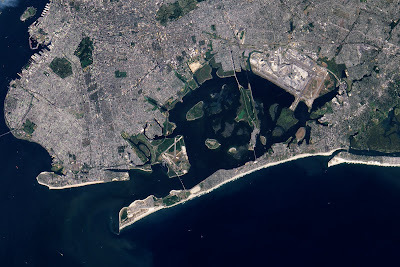 Brooklyn, New York, on September 12, 2001, from NASA's earth-observing EO-1 satellite. The 2 large green patches in the upper left are Green-Wood Cemetery and Prospect Park. 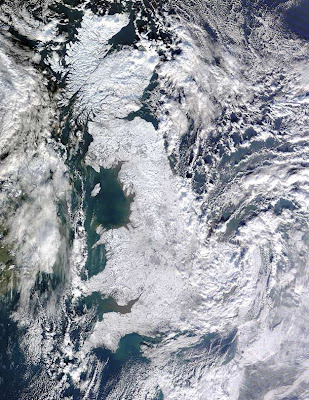 The United Kingdom blanketed in snow on January 7, 2010, taken from NASA's earth-observing Terra satellite. 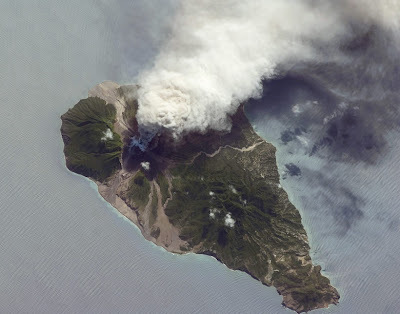 A volcano on the island of Montserrat in the Lesser Antilles island chain in the Caribbean, taken on October 11, 2009, from the International Space Station. 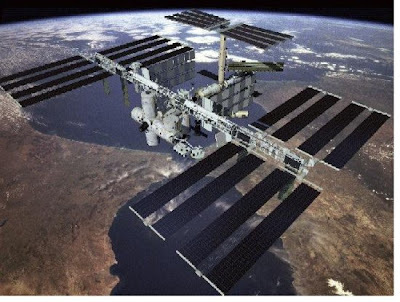 The International Space Station, which orbits the earth at an altitude of 250 miles. Over a decade ago, my friend Jim Miller disabused me of the notion that the only human-made structure that could be seen from space was the Great Wall of China. That is a myth that these photos - from satellites and the ISS - disprove. About what can be seen from the space shuttle, especially with binoculars, American astronaut Edward Lu describes: "You can see an awful lot from space....You can see the pyramids....You can see roads. You can see harbors. You can even see ships....You can see airplane contrails....And very occasionally, you do see other satellites go by." According to Lu, the Great Wall is less visible than a lot of other objects, and you have to know where to look. Observations of Earth from orbit help with the study of large-scale, long-term changes in the environment, increasing the understanding of forests (and deforestation), oceans (and water pollution), the atmosphere (and air pollution), mountains, hurricanes, volcanoes, and ancient meterorite impacts.